“Acknowledged, Samurai,” the pilot replied. ROE State Green was the strictest set of Rules of Engagement the STS lived by. Lethal force was only authorized against clear, identified threats. Fleeing Elect didn’t count. Hot on the Elect’s heels, Connor and Yamamoto ran at full speed, the pilot whispering directions in their ears. The Elect had a long head start, but he was slowing down and leaving a blood trail behind. A tense silence fell. The last gunshot had faded long ago, and only now were the civilians testing the air, peeking out windows and doors. They stayed indoors, shying away from the operators as they approached. Good. The fewer civilians caught in the crossfire, the better. Full dark had fallen. The neon lights of Three Rivers blazed bright, casting the world in a hundred different hues. Pools of deep shadow lurked where the light did not touch. In alleys, blind corners, doorways, street animals and young Shadows lurked. Connor greeted them with growls and held his carbine high, and they wisely left the operators alone. There was still blood in the air. Everyone could taste it. Nobody wanted to be the night’s final sacrifice to the Grim Reaper. 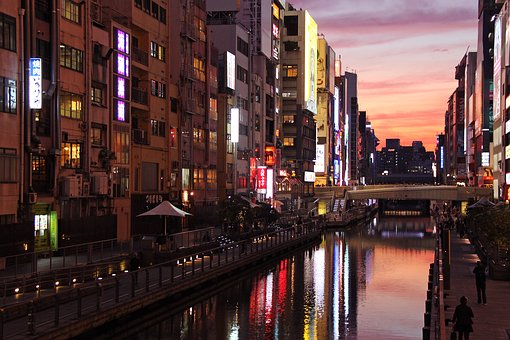 The banks of the Minato River were home to some of the city’s most famous pubs and restaurants. Ten blocks away from the scene of the shooting, the locals would have heard the firefight, but they were so far away it wouldn’t have posed an immediate threat. As Connor approached, he heard a dozen different songs blaring from the establishments, competing with holovisions and live bands and breaking news announcements. The customers here were on edge. But they hadn’t taken cover. They were still seated where they were, somewhat wary, but otherwise pretending that the rules of normal life still held sway. Right up to the moment they saw the operators’ weapons. Heads turned to look. Some people recoiled. Connor didn’t care, he was busy jogging to the bridge, swerving around unobservant couples or people lost in augmented reality glasses. Sweat poured down his neck and arms. His lungs tightened. His legs burned. He was in shape, but the earlier firefight had robbed his breath, he wasn’t getting any younger. Connor held his left hand before his argees’ camera, running through the hand gestures needed to command the glasses to link to the STS’ datanet. A small window appeared on the lower left corner of his view, displaying a street map. A blue diamond appeared over Yamamoto’s torso. Another floated in the sky, revealing Sheriff Three’s location. And a bright red triangle appeared to his one o’clock. Helix Bridge was always busy at night. Swooping metal arcs ran down the length of the bridge, forming multiple pairs of double helices. LEDs mounted on the beams and rails and trusses slowly pulsed and alternated through warm and cool colors, painting the bridge violet and cerulean and emerald. The light show attracted a constant stream of photographers, models, influencers, couples and families, and tonight was no exception. Keeping his carbine low, Connor slipped through the crowd. Even with his cap, raid jacket, chest rig and weapon, nobody seemed to notice. Or care. Through a gap in the crowd, Connor caught sight of the target. A tall male in a brown jacket and black pants. Wet stains covered his back and left arm. He wasn’t bleeding any more, and he had hidden his wings. He glanced over his shoulder, locked eyes with Connor, and took off. The suspect merely picked up the pace. Connor chased him, carbine held low and close. Connor brushed past a woman, dodged around a family of three, and the crowd magically opened up, revealing the subject running down a clear stretch of concrete. The Elect’s pants melted into large, muscle-bound, fur-covered legs. His fingers transformed into claws. Pumping his arms, he sprinted. Every nerve in Connor’s body screamed at him to shoot. But there were too many citizens around, and they were still operating under State Green. And Sheriff Three was still shadowing the target. The Elect was fast, too fast for a mere mortal to catch. At the far side of the bridge, he climbed on the guardrail. His unnatural feet curled around for purchase. He paused a second, and pounced. And crashed into a couple of civilians. Connor exploded into a dash, sucking down as much oxygen as he could muster, Yamamoto right beside him. They cleared the bridge, turned to face the subject. The Elect had bowled over the citizens, struck a hard concrete bench, and lay sprawled out on the ground. Connor covered him with his carbine. “Move! Out of the way!” Yamamoto added. The civilians hurried away. The subject stared dazedly at the operators. “Roll over! Now!” Connor shouted. Pressed his hands and feet against the floor and pushed himself up. The Elect jumped up on the bench. Leapt up over a wall. And ran across the street. “Oh come on!” Connor exclaimed. But the effort had cost the Elect. Splotches of blood covered the ground and the bench. And he was slowing down. Yamamoto and Connor rushed across the road. Horns thundered. Connor didn’t care. The trick was to read the flow of traffic, to move into empty space, to keep running and don’t stop. A car whooshed past, then a bus, and suddenly Connor was back on the sidewalk, Yamamoto behind him. Connor turned a corner. The subject was up ahead. He was back in human form, reduced to a moderately fast jog. The Elect looked back, then ducked into an alley. “I’m going around to head him off,” Connor wheezed. Digging deep, Connor summoned a fresh burst of energy and sprinted. Across the road, down the sidewalk, past the alley the subject has disappeared into. High above, Sheriff Three continued his pursuit. Connor knew the alley led into a warren’s nest of narrow streets and tight alleys. It was too easy to get lost in there, to get turned around over and over again. It’d happened to him as a kid. This chase had to end here. One eye on the map, another on the road, he ran. Two blue dots on the map signified Yamamoto and Sheriff Three. A red dot highlighted the subject’s position. Now and then the threat faded from view as the orbiting gravtruck lost sight of him. Connor swerved right, entering another cobblestone alley. Here were bars, liquor stores, vending machines, a neighborhood fabricator. Bikes and personal mobility devices were propped and locked against the walls, next to street signs and menus. Lanterns suspended from overhead cables illuminated the alley in soft red and yellow. Connor kept assiduously to the middle of the path, keeping his weapon held close, careful to avoid bumping into everything and everyone around him. The red dot made a right turn, entered an open space, and went stationary. Connor rushed past his position, kept running until he found a bend, and turned right. Squeezed down a tiny passage, then turned right again. Up ahead, Yamamoto jogged to a halt. Behind, civilians stared at the PSB operators. Connor propped himself against a wall, held up his palm, and coughed, trying to regain his breath. He thought he was in shape—hell, he was in awesome shape, but the gunfight and the long run had left him ragged. Sheriff Three hovered protectively overhead, ready to back up the operators. Connor sucked down one last breath and gave Yamamoto a thumbs-up. Yamamoto stepped forward and rounded the corner. Connor mirrored him. Here was the Church of Our Lady of Sorrows, among the oldest and smallest churches in the city. Three Rivers had sprang up and radiated around the church, leaving it in the permanent shadow of ever-taller skyscrapers and office buildings. Connor was surprised the church was still here. The centerpiece of the tiny courtyard was a stone pavilion. Illuminated by oil lamps and paper lanterns, Connor saw a granite statue of a fine-boned woman. Dressed in flowing robes, she stood with solemn dignity and gazed up into the heavens, her face twisted in anguish. Seven daggers radiated from her back like a fan, piercing her heart. She cradled a tiny baby to her breast with both hands, as though protecting it from the blades. A pair of metal cabinets flanking the statue held rows of melted and burnt-out candles. An offertory box stood before the idol. Connor didn’t know who this Lady of Sorrows was, only that she bore a superficial resemblance to the Lady of Shadows. Maybe she was the goddess of some minor sect, so minor she wasn’t formally registered as a New God, much less a Power. He didn’t care for this Lady, only that the suspect wasn’t hiding behind her. Built of aged wood, the church was a throwback to a previous age. It was tiny, no bigger than the one- and two-story brick and mortar houses and restaurants that populated the alley. The glass windows were darkened, and no sound escaped from the double doors. And a trail of blood drops led to the door. Connor and Yamamoto spent a minute searching the courtyard and clearing the perimeter. There was only one way in and out of the church. Both men silently converged on the main entrance, Connor on the left, Yamamoto on the right. As one, they cracked the doors open and entered. As one, they flicked on their weapon-mounted lights. There were no pews, no furniture, just empty space. Ancient votive candle holders lined the walls, all of them extinguished, save for the two flanking the altar. The altar itself was a simple wooden table covered with a plain white cloth. Behind the altar was a large screen, a raredos, bearing a painting of the Lady of Sorrows. Kneeling, her face turned to the heavens in despair, she cradled a dying man in her arms. A man with long dark hair and a thick beard, dressed only in a loincloth and a crown of thorns. Blood dripped from his crown, his wrists, his feet, and his side. Seven long swords pierced the Lady’s back. Behind her was a tall wooden cross. In front of the altar, the suspect knelt. He was in beast mode—and yet it was wrong, somehow. Huge wings unfurled from his back, but they were shriveled and misshapen, bloodied and torn in several places. His arms and legs had bulked up beyond human proportions, covered in fur and ending in claws, but his head and torso was still human. “Your Lady isn’t here,” Yamamoto interrupted. The suspect startled and spun around. The operators trained their carbines on him. “PSB! Hands in the air! Now!” Connor shouted. He had transformed his face—but the morph hadn’t taken fully. His skin had turned a shade of sickly blue. His ears were sharp and pointed, but they flopped lamely down to his cheeks. He bared a mouthful of teeth, all of them still human. His eyes had sunk deeply into their sockets, becoming tiny black beads. “This is not your Lady,” Yamamoto said calmly. Rising to his feet, the Elect roared. His thunderous voice reverberated in the tiny space, rattling the windows and disturbing the flames. But Connor’s earpieces cut out the sound. He lumbered towards the operators on misshapen legs, his gait awkward and bumbling. His right leg was longer than his left, and he struggled to maintain his balance. His arms flailed about wildly in a futile attempt to compensate. Yamamoto deftly stepped aside and extended his arm. The Elect crashed into Yamamoto’s arm. His foot slipped. His legs flew out from under him, and he crashed awkwardly on the hard wooden floor. A chorus of sharp cracks and pops issued from his wings. The Elect screamed in pain. Yamamoto angled off, aiming his carbine at the suspect. Connor slung his carbine and reached for his flexcuffs. 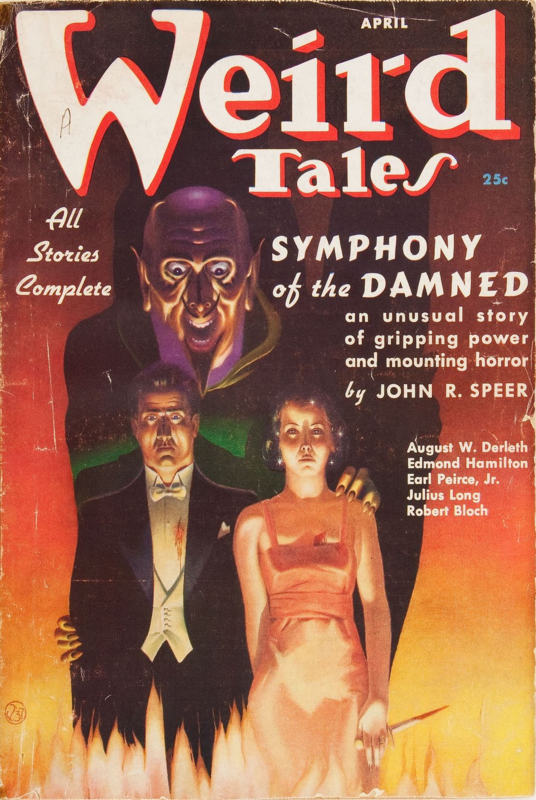 The broken wings twitched and shrank into the suspect’s body. The fur covering his unnatural flesh retracted and vanished. The Elect moaned in pain. Connor kicked him over on his belly, forced his hands behind his back, cuffed his wrists, and planted a knee on his spine. The suspect thrashed, trying to throw Connor off. Connor scrambled, trying to hook his legs around his waist, forcing him down with both hands. “Hold him down!” Yamamoto said. Yamamoto planted himself in front of the Elect’s head. From Connor’s vantage point, The Lady of Sorrows seemed to tower above Yamamoto. Yamamoto reached under his shirt, pulled out a small object on a chain and held it high. A plain metal cross, every tip terminating in three lotus petals. A terrible roar escaped from the Elect’s mouth. Connor startled. Three voices spewed from the man’s mouth. The suspect’s, high pitched and trembling; a man’s voice, smooth and deep and liquid; a woman’s voice, high-pitched and haughty. The suspect rolled to his side, taking Connor with him. Connor wrapped his one leg around his waist, then flung himself to the other side and hooked the other leg. The suspect screamed again. The ground shook. The windows cracked. Fingers scrabbled into Connor’s belly, long nails questing for his flesh. “Whatever you’re doing, make it quick!” Connor yelled. Yamamoto held up his cross. That threw Yamamoto off. But he recovered swiftly. Taking a deep breath, he looked up. The Elect loosed a full throated roar. Somehow, Yamamoto’s voice cut through it. Yamamoto pressed his crucifix against the Elect’s forehead. The suspect howled in despair and terror. Yamamoto stood fast, clutching the Elect’s skull. Connor dug in his hooks and held on tight. A great black cloud rose from the Elect’s body. It was a living force, cold and sticky, radiating utter alien malevolence. It crawled along the subject’s skin and roiled over Connor’s. Do you wish our gift? “LEAVE NOW AND NEVER COME BACK!” Yamamoto roared. A deep sigh, male and female combined, filled the tiny church. And the black cloud evaporated. The Elect slumped over. He was human again. His legs were back to normal, his hands limp and relaxed, his muscles flaccid. Even his clothes had returned in one piece. A faint golden glow surrounded Yamamoto like an aura. It was a trick of the light. It had to be. Connor blinked, and the vision was gone. The suspect moaned. Connor backed up, rolling him on his belly, and patted himself down. No injuries. “Is it over?” Connor asked. As Connor carried out the suspect, Yamamoto called in the arrest. There was no room for Sheriff Three to land here; the gravcar had to land on the street outside to disgorge its onboard operators. This wasn’t the first time Connor had witnessed Yamamoto performing an exorcism. Not by a long shot. Yet only now did it occur to him that he knew next to nothing about his team leader’s faith, or the divinity he called upon. “Who is this Lady of the Seven Sorrows?” Connor asked. A strange expression crossed Yamamoto’s face, and vanished in an instant. The men said nothing more. Connor pondered what he had seen in Yamamoto’s face. In all his years of knowing the man, of seeing what he had done, he had never seen an expression quite like that before. Long minutes later, after the STS crash team arrived, after they herded the suspect into the gravtruck, after the SkyBear took off, something in Connor’s mind clicked. Yamamoto was wearing the same expression as the Lady of Sorrows.